The Yucky Children Charmer basks in the effects of consuming his own product as he celebrates spending years peddling magical, consequence-free sugar. 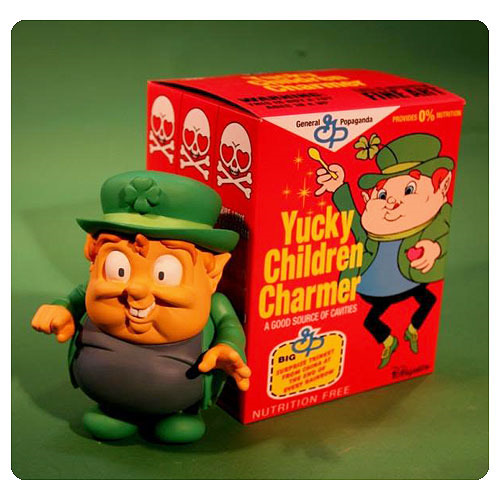 The Yucky Children Charmer Cereal Killers Series Last Fat Breakfast by Ron English Designer Vinyl Figure harkens back to the days when sugary cereals captured the hearts of Young America by giving away cheap toys made in China in every box... but it looks like this prize at the bottom of the box actually ate the cereal! Figure measures 8-inches tall. Ages 14 and up.